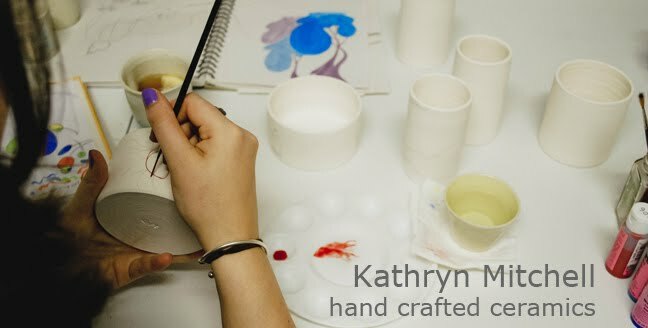 Continuing on from last week's creative space, I've been painting bowls to match my new flat dishes. More creative spaces over here and a new weekly meeting place for clay folk over here. Wow, your painted feather bowls are gorgeous! And I would have been sad to step on the sweet egg too, LOL. What a perfect little tiny egg! Even if it is a gekko egg, but then again every animal has its place in the universe and they have a function to fill in our biodiversity. I'm just a tad bit scared of anything lizardy. Eep. And your bowls are gorgeous! Love how you've painted a little egg inside.